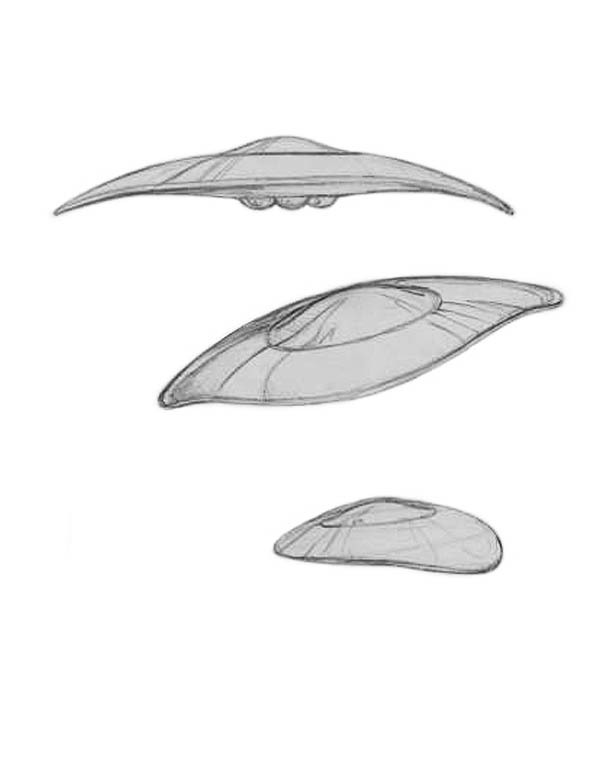 These thirty-foot wide Sen Dar’s Scout Class Interceptor Sketches are similar to Kalem’s Scout ship with three semi-spherical pods under the hull. Yet, the edge of the hull’s trailing edge extends out like the shape of a Sting Ray shark’s fins. The hull of this ship glows pale-red, unlike the pale-blue glow that surrounds the hull of a Galactic Alliance Scout Class Interceptor. Sen Dar’s anti-gravity powered Scout Class Interceptor has special hidden design features. Sen Dar acquired this type of spaceship after gaining for a fairly short time complete control over several extra-terrestrial races. He gained this dominance by misusing one of The Ancient One’s crystal devices that he stole from his former teacher, Master Nim, after killing him in a fit of unrestrained rage. The vast majority of people on Earth are unaware that extra-terrestrial beings, both benevolent and malevolent (good and bad), have been influencing their lives and the direction our world is headed for many decades, hidden behind world events. The golden thread of this truth revealed for the first time here is woven through the abundantly illustrated pages of the entire trilogy story. 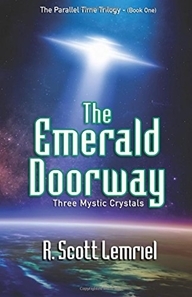 Go on a personal adventure to discover how Sen Dar came to have absolute power over the alien beings on several worlds in our own Milky Way galaxy. A series of events followed that eventually lead him to the planet Maldec in our solar system, and to its destruction. Then he came to ancient Earth, and finally to our present time to try and dominate our world. Note: To revisit the character sketch of Sen Dar standing in front of the control console aboard his Scout Class Interceptor click on the link below.